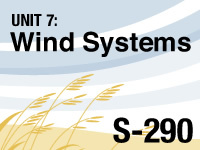 S-290 Unit 7: Wind Systems Downslope winds off the Sierra Nevada are a major contributor to the current California fires. This lesson outlines general and local winds and their processes, including detailed information about the Santa Ana winds and their role in California wildfires. 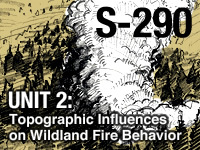 S-290 Unit 2: Topographic Influences on Wildland Fire Behavior Terrain is a powerful driver of fire behavior. This lesson provides an overview of how topography affects fuels and the direction and spread of wildland fires. Information on interpreting features of topographic maps and estimating slope is also presented. 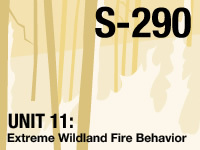 S-290 Unit 11: Extreme Wildland Fire Behavior When dry conditions, weather patterns, and topography converge, the result can be extreme fire behavior. This lesson covers the characteristics and contributing factors of extreme fire conditions. Fire activity that is considered extreme includes crown fire, spotting, fire whirls, and wind-driven or plume-dominated fires.